Today was one of those crazy arse days I wish I had a pause button. 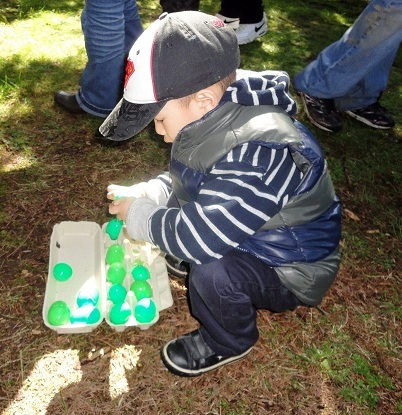 We went to Surrey Nature Centre at Green Timbers for an egg hunt in the forest, and had a full day of activities and entertainment planned. However, upon our arrival we were stuck for nearly 15 minutes in the lineup of cars that was hardly moving, with three energetic boys in the back seat and one impatient mama. When we reached the entrance we waited in line again for about 10mins. Inside were white tens set up on the field for face painting, bouncing castle, crafts, and other Easter related activities, each one with its own line of people. Ugh! We went straight to the egg hunting ground and waited yet another 20 minutes exactly for everyone to show and receive their egg carton. The hunt was chaotic with the boys running in every which directions. Luckily, my friend Julie agreed to watch one of my boys. We left right after the hunt, as the lines were just too long at the other stations, and I also wanted to go the Surrey Museum for the Easter Fair. We had visited the Museum last Easter and the boys had a blast so I was excited to return. There was plenty of parking at the Museum. Other than a slight change in the scavenger hunt which took place inside the Museum, everything was as I remembered. 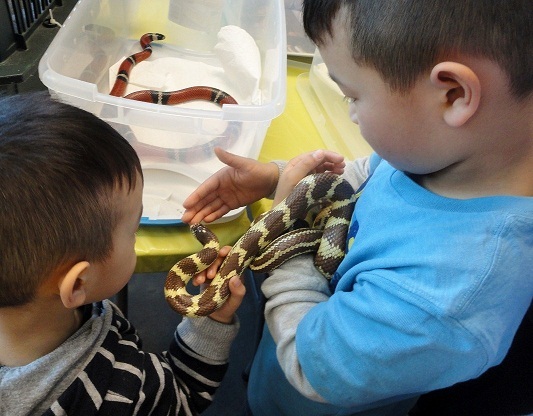 The live animal petting was still a huge hit. There were no line ups; the boys got to do tons of crafts and games. There was even a personnel from the library who came and did three story readings and songs. We could have stayed for the dog race but by then the boys were more than willing to leave, which was a good thing because I was pooped. But I am definitely coming back there next year! Hope your Easter went more smoothly.